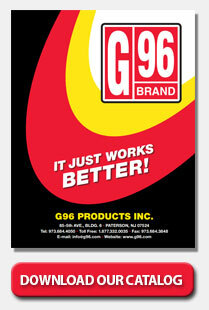 G96 Gun Oil is the finest, most complete firearms product made. It cleans, lubricates, and protects your gun in one operation. No solvent or preservation necessary. G96 Gun Oil is the same as G96 Gun Treatment except that it is a liquid and not an aerosol spray. Available in 4 fl. oz. bottle with twist cap, 1 gallon containers, and 55 gallon drums. If necessary, clean firearm first using G96 Bore Solvent or G96 Crud Buster. Apply evenly over area to be treated. Allow to set for 60 seconds. Wipe with clean cloth. Apply to all metal surfaces, inside chamber and inside barrel. Wipe after application. When treating gun for first time or for long term storage protection, apply three times, wiping dry after first and second application. Note: After treating gun allow solvent contained in the oil to evaporate for 10 minutes before placing gun in any airtight container such as a gun case, sealed carton, etc.